Michael Jr. has been running the company since 1990. 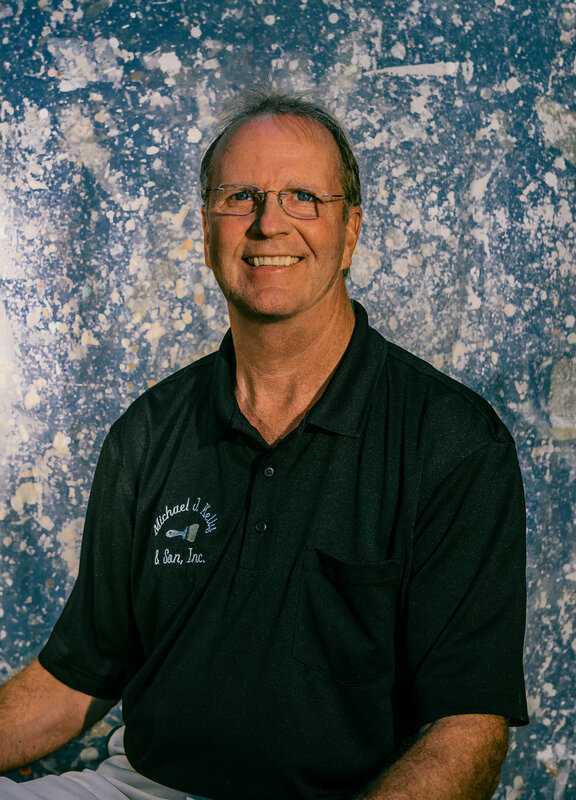 As a member of the PDCA, Mike has served as a Chapter Board President and Board Member for many of years. As a member of the NGPP, he has served on the National Board and has held the National positions of President and Vice President. In addition, Mike has been consulted to write installation instructions for wall covering manufacturers and has published articles for "American Painting Contractor". Mike, an NGPP Certified Paperhanger, is one of the three originating paperhangers who helped develop the paperhanging training program at the Williamson Free School of Trade in Media, Pennsylvania. Throughout his career, he is regularly called upon to lead projects such as the historic restoration of The Peterson House in Washington, DC and exhibits at the Museum of Modern Art in New York City. Mike is a "hands on" business ownerMike is also the Mid-Atlantic region's dealer and certified installer for Belbien TM; a sophisticated architectural cladding material developed in Japan and used in hospitality, medical, and corporate applications.